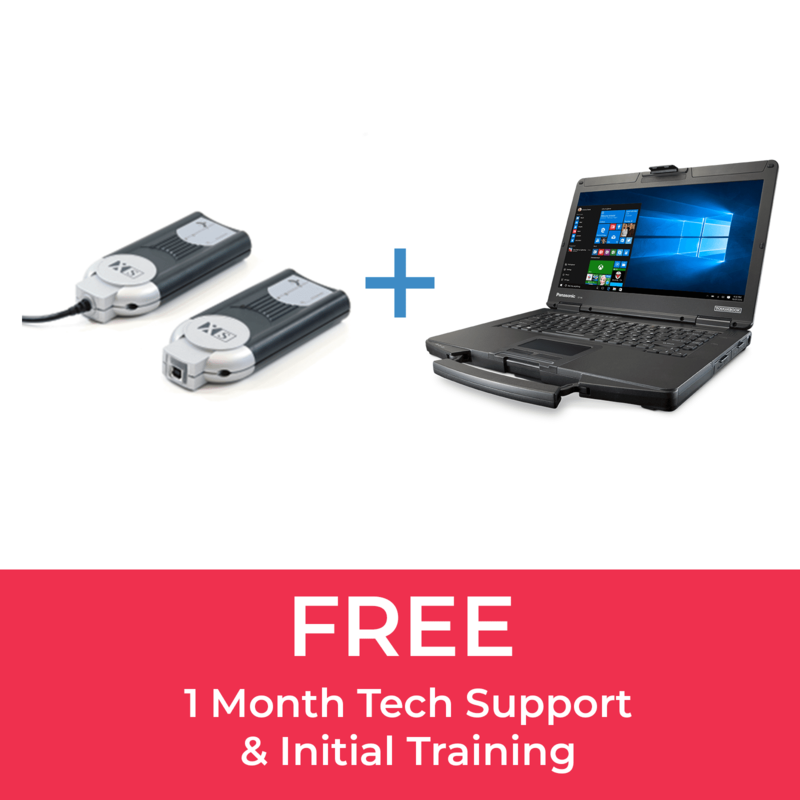 Porsche PIWIS Dealer Package includes Refurbished Panasonic CF54 as recommended by Porsche (@1080p resolution) and Actia XS approved pass thru VCI. (Other laptops are available on request). We will assist you with the application process with Porsche GB, you need to ensure that you are a legitimate VAT registered UK company as long as you have no Porsche images or logos on your website and you do not use Porsche in the title of your business name then you should get approval. Porsche has no subscription, however, it is pay-per-hour for usage. Actia manufacturer original tools for most major manufacturers including VASS – (Volkswagon, Audi, Seat, Skoda, Bentley and Lamborghini), Porsche, PAS – (Peugeot, Citroen, DS), Renault and BMW. 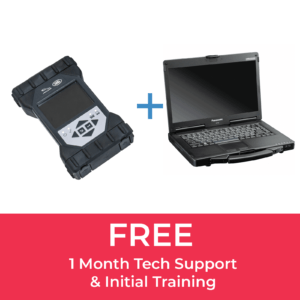 Recommended and tested by major OEM’s, the PassThru+ XS 2G kit is a VCI enabling you to communicate and reprogram vehicle ECU’s according to the J2534 & J2534-1 specifications. It is sometimes necessary to reprogram ECU’s to regulate and repair cars equipped with OBD systems. Until now, the ECU’s reprogramming capabilities were integrated in OEM’s specific diagnostic tools. A consumer had to rely on the car manufacturers dealership. Any non-franchise dealership would have to invest in obtaining specialized tools (one per brand!) to be able to perform ECU reprogramming. This factor places the freelance dealership in a non-competitive position which ultimately will impact a consumers’ freedom of dealership choice. Actia manufacturer original tools for most major manufacturers including VASS, Porsche, PSA, Renault and BMW. Actia XS 2G device should work on most vehicles using these protocols with the relevant manufactures licensing (at extra cost). 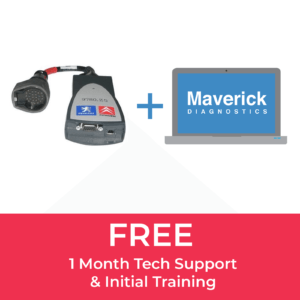 Why are Original or OEM Approved diagnostic tools required? Multi make diagnostic tools all have their limitations, increasingly control units require reprogram/Updates/Re-Flash of ECU’s with the latest software from the vehicle manufacturer, for this operation only an Original OEM or approved Pass-thru tool is required. Save time and make money by investing in this level of tooling, it will increase your workshop footfall, customer loyalty and save many man hours, moving cars to mains dealers for repairs. Vehicle manufacturers have all taken their diagnostic software away from standalone diagnostic tools and onto their own web portals. This enables them to have a very secure way of controlling who and how anyone has access to their data and information. What do you need to execute a flashing of the ECU’s? A device alone is not enough to reprogram the ECU’s. To do that, you need a dedicated Laptop PC and have to get the software application from the car manufacturer. This software application can be delivered on the Internet or on a CD according to the manufacturer. Some car manufacturers decided to check their application with PASS THRU hardware devices in order to assure the function of a device together with the software. We recommend you to check the compliance of a PASS THRU device and the recommendation of the car manufacturer before purchase. 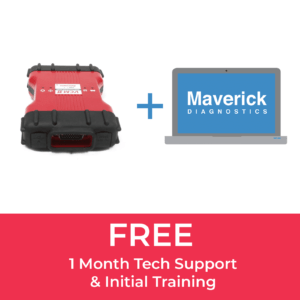 Please contact Maverick Diagnostics to assist with your requirements.